Fickle Prickles - Cacti & Succulents: Mealybug - How to get rid of them and keep them away for good! I often had a problem with roots. 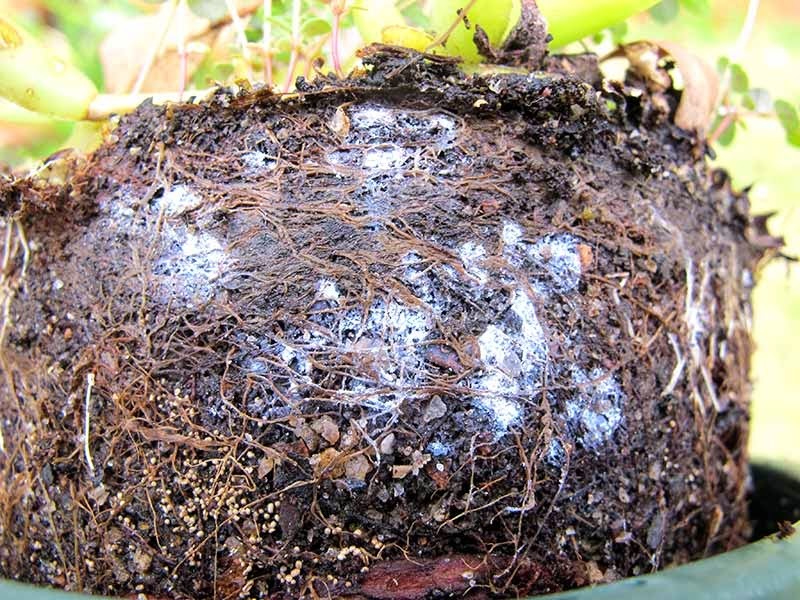 When I inspected the roots, I find a white stuff or web-like threads at the base of the plant. I grow Haworthias and Gasterias which seem more sensitive to bugs than my cacti. My question - do mealy bugs always look fuzzy like in the picture, or should I see individual white dots? It is often easy to confuse those bugs with mycorrhiza or compact spider web at soil level.